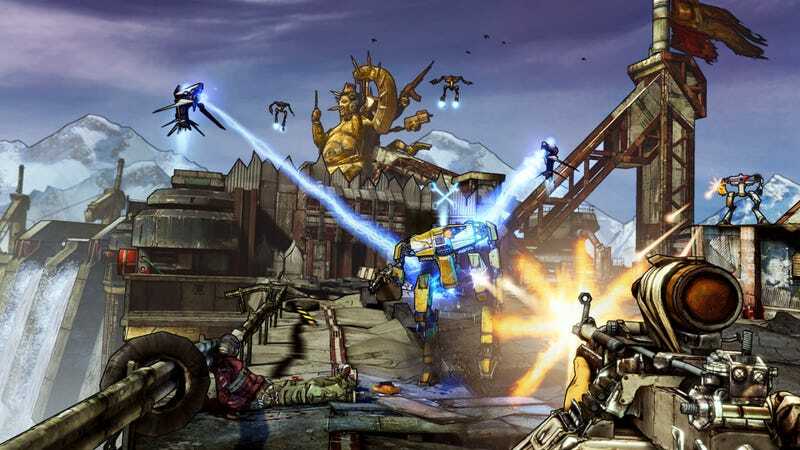 You thought you saw all there was to see of Borderlands 2 at Gamescom last week? These two fresh shots direct from PAX will show you how very slightly wrong you were. Man, that's an empty looking gallery. I almost added a picture of a friendly kitten, just because those two new shots looked lonely. That would be silly though. A fluffy kitten wouldn't survive for a minute on the surface of Pandora.